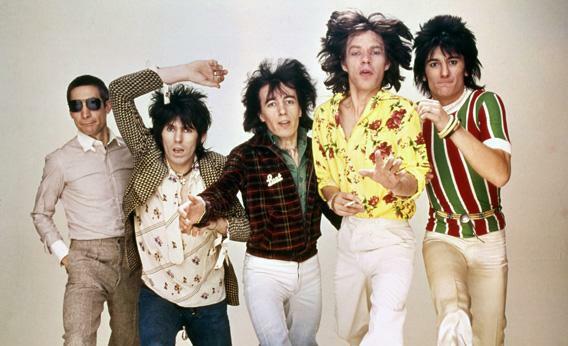 Rolling Stones HBO documentary: Crossfire Hurricane reviewed. A new documentary about the Rolling Stones somehow makes them seem dangerous all over again. Charlie Watts, Keith Richards, Bill Wyman, Mick Jagger, Ronnie Wood. © the Rolling Stones archive/courtesy HBO. After these many decades—after the Maysleses at Altamont and Scorsese at the Beacon, after Godard’s New Wave rhythms and Robert Frank’s dirty blues, after boomer-baiting PBS pledge-week anthologies and sound-biting VH1 clip shows—you may suppose that a new film about the Rolling Stones is grossly superfluous. Approaching Crossfire Hurricane (HBO, Thursday at 9 p.m. ET), I harbored such skepticism myself—and the credits do not inspire confidence by listing the band’s current members among the films’ producers. Settling in, I had steeled myself for the filmic equivalent of the Steel Wheels tour—a brash and noisy corporate machine clanging out nostalgia for the oldies. And so it was my pleasure, as an intermediate-level Stones buff, to see that director Brett Morgen has put together something reeking of astringent danger. As in his The Kid Stays in the Picture—which beautifully buffed the medallion of movie producer Robert Evans—Morgen elicits a vivid and intimate self-portrait from a self-made cultural institution. Using new audio-only interviews with the Stones as invisible tape, he splices 50 years of footage into a 110-minute education, remixing the work of earlier filmmakers with splendid editing and a critical eye. He frames the band as a countercultural force—an entity that exploited historical accident by harnessing pagan forces to attack the Establishment—and he intimates that their success in this endeavor was a step on the corpse-littered road to the band’s place on Parnassus (Sir Michael Philip Jagger, knight of the British Empire). I have a hunch that any teenager teaching herself about the history of rock ‘n’ roll quickly gets a sense of the dominant biographical interpretations of, say, the Beatles and Dylan discographies. “Hey Jude” is for Julian Lennon, “Like a Rolling Stone” has something to do with Edie Sedgwick, that kind of thing. The popular imagination doesn’t explicate the Stones to like degree, and so that teenager, paying close attention to Crossfire Hurricane’s juxtapositions of sound and image, will discover in those very juxtapositions a compelling critical take. From its opening sequence—the Stones attacking Madison Square Garden with Exile on Main St. in the summer of ‘72—the film makes fantastic use of the footage that Robert Frank shot for Cocksucker Blues. That one you shouldn’t watch unless you’re at least 30—but have you seen it? Perhaps not. It has a fabulous disclaimer—“Except for the musical numbers, the events depicted in this film are fictitious”—and is only supposed to screen when the director is present, because 40 years ago the Stones, with the blessing of Ahmet Ertegun, obtained a court order decreeing so, having decided it unwise to allow the broad distribution of evidence of their entourage introducing every drug under the sun to groupies one suspects were no more mature than the one in “Stray Cat Blues.” But times change, or rather, time passes, and the statute of limitations on all non-hanging crimes has expired. Crossfire Hurricane encourages us to read the band’s hits as auto-critiques of its exploits—the exploits of “the greatest rock ‘n’ roll band in the world,” where rock ‘n’ roll is blues slang for getting satisfaction. In this context, “Paint It Black” is the first single in which Mick consciously acknowledges his demonic powers, and “No Expectations” is Brian Jones’ elegy for his own functionality. “Angie” is a hedonist’s requiem for innocent love, and “Brown Sugar” remains a problematic riddle about exploiting black music. The movie is soft and subtle in its reiteration of the idea that history required British bohemians to transform the energy of African-American music into a global commodity. Here and throughout, the Mick of 2012 is a detached observer of his own snake-charming performance. It’s even cute when, while explaining how he cobbled together the immortal nonsense of “Sympathy for the Devil” from Bulgakov and Baudelaire, he unwittingly(?) quotes Blades of Glory, or perhaps “Niggas in Paris”: “It’s provocative.” He keeps returning to the notion of being an actor who’s been playing a series of related parts for the length of the career, and in early TV interviews, you see him studying his interlocutors closely, looking for tips and for cues, learning what he could from their questions and suppositions. As evidenced by the fashion missteps that accompanied the band’s post-Exile decline—a lime-green jacket, tiered and flouncing as if borrowed from Bianca, paired with matching chaps and a Rasta-print terrycloth headband, for instance —he did not always learn well, but he tried, and you cannot always get what you want.